When Giacomo (James) Tambussi, of Perleto, Italy and Maria Oliva of Voghera, Italy, the parents of Ella Tambussi Grasso, Connecticut’s first woman governor, arrived in Windsor Locks early in the 20th century, they followed tens of thousands of Europeans who immigrated to the United States in the decades after the Civil War. By 1910, 60 percent of the state’s population was first-or second-generation American, and Italian immigrants were the second largest group of new arrivals in the state behind the Irish. James Tambussi journeyed to the New World in 1904 and Maria Oliva two years later. Both departed from Genoa and passed through Ellis Island before arriving in Connecticut to join family who had preceded them. Many years later Ella recalled a story her father often told. Like many other newly arrived immigrants he arrived in Hartford by boat from New York City with a “sign pinned on him” noting his destination-Windsor Locks, Connecticut. James Tambussi and Maria Oliva married in 1911 and remained respected members of the sizeable Italian contingent that settled in the small town north of Hartford. In a 1975 article for the New York Times Magazine Bernard Asbell described Windsor Locks as a “milieu of scant means and status but rich with striving and tradition.” In the early 20th century it was an industrial town where many immigrants found work in factories and mills. The town was a microcosm of Connecticut, reflecting the “melting pot” of newcomers seeking to adapt to American society and culture. Its small but expanding foreign-born population comprised not only Italians but also Irish, Poles, and those of other European nations. Yet like other Connecticut towns, Windsor Locks was a place where families knew one another, particularly immigrant families which frequently settled in neighborhoods populated by people they knew in the “old country.” Olive Street, where the Tambussi’s lived, was no exception since friends from their villages in Italy lived at both ends of the street. This environment planted in Ella a sense of community rooted in small neighborhoods filled with families not unlike her own, struggling and striving to achieve a better life for themselves. The choice of Ella’s secondary school was largely her mother’s decision, and she chose the Chaffee School, a private, girls’ school in nearby Windsor. The neighboring Preli family’s daughter attended Chaffee, and Maria Tambussi wanted her daughter to have the same opportunity. Chaffee awarded Ella a scholarship and she entered the fashionable preparatory school in 1932. Chaffee was a world quite separate from Ella’s blue-collar Windsor Locks upbringing. In his 1975 article Asbell declared that Chaffee was a “picture-book campus,” a prep school for exclusive private colleges that catered to the daughters of prominent and wealthy families. Ella blossomed there and achieved outstanding academic success. In addition to her studies she participated in a model League of Nations organization and the Drama Club. Ella said that Chaffee was an “awakening” which aroused interest in areas that she had not previously encountered. “I did not know the world of music (except Italian opera), art and theater until I went to prep school,” she explained in the Family Circle questionnaire. While Ella’s achievements at Chaffee enabled her to erase any doubts she may have had about her intellectual capability in the classroom, she remained the daughter of immigrants and thus apart from her socially prominent and economically well connected classmates. That social distance did not diminish her determination to continue on a road that would lead to invaluable educational opportunities and path-breaking experiences for this child of 20th-century pilgrims. In 1936 Ella Tambussi entered Mount Holyoke College in South Hadley, Massachusetts on scholarship. She enrolled in a new and experimental academic program called the “two-unit plan” and joined other young women specially selected for the program based on their intellectual aptitude, academic interests, and scholarly potential. Students in the program were expected to concentrate on two main subject areas. Ella chose economics and history and as a result came under the mentorship of Professor Amy Hewes. Professor Hewes chaired the department of economics and sociology and spearheaded the college’s adoption of the two-unit program. Hewes, whom Ella described as “one of the country’s most wonderful women,” had the most influence on Ella during her undergraduate and graduate years at Mount Holyoke. The benefits that both the academic and practical education provided Ella included initiative and independence. She also observed the arduous, strenuous, and frequently unhealthy work that men and women engaged in at the textile mills of nearby Holyoke. That creative involvement invigorated her with a desire to improve the public good, and that desire became an integral part of the life of this young woman from Windsor Locks. 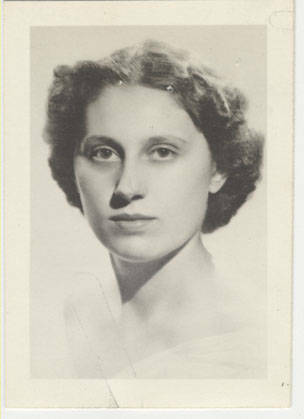 Ella Tambussi graduated from Mount Holyoke College Phi Beta Kappa and fifth in her class in June 1940. 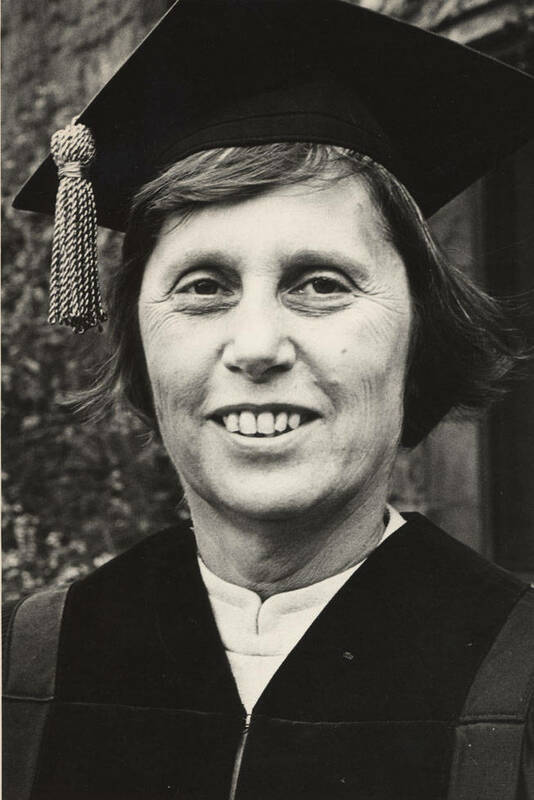 The intense studying, the opportunities to visit and observe industrial labor as well as savor the provocative and thoughtful words and ideas of the Mount Holyoke faculty provided Ella with an outstanding education and preparation for her life of public service. It was at Mount Holyoke that she set out to do all those great things which many aim to do in life. And it was from there she moved into the world of politics believing “in a very real sense of a relationship between politics and the lives of people-that what happens to us was affected by government and I wanted to be part of that government. After graduation Ella remained at Mount Holyoke to pursue a masters degree in economics. She was Professor Hewes’s graduate assistant from 1940-42 and she wrote her graduate thesis on the history of the Knights of Labor under Hewes’s direction. Ella’s study of the 19th-century militant union analyzed the Knights’ role in American labor history. In August 1942 Ella Tambussi married Thomas A. Grasso in St. Mary’s Church in Windsor Locks. Tom Grasso was a schoolteacher who years later became an elementary school principal in East Hartford. Ella’s first job, Interviewer Grade 1, for Connecticut’s State Employment Service was followed by a position as Assistant Director of Research for the War Manpower Commission in Hartford. She remained in state service until 1946 when she became a full-time homemaker and mother to her two children, Susane and James. 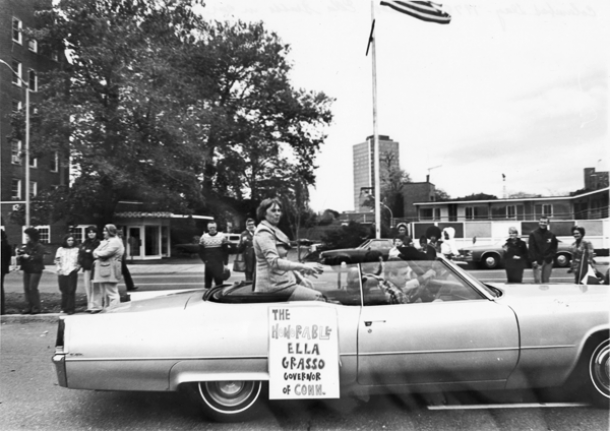 In 1952 Ella Grasso was elected state representative from Windsor Locks. It was the beginning of her 28-year career in elective public office. Early in her first term she caught the attention of Democratic State Chairman John M. Bailey who discovered her ability as a skillful legislator, writer, and researcher. The influential Bailey, who remained the state party chairman until his death in 1975, became Ella’s political mentor and adviser. From that vantage point in the legislature Ella began her long ascendancy to Connecticut’s highest elective state office. Ella never lost an election. She served as secretary of the state from 1958-1970, and is credited with transforming the post into an activist office. She was elected congresswoman from the old Sixth Congressional District in 1970 and reelected in 1972. 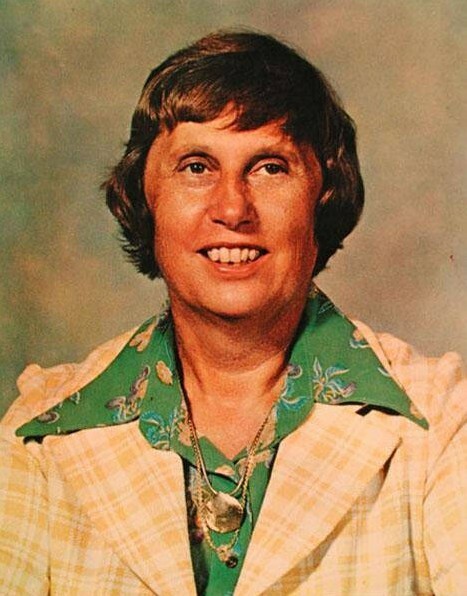 With her 1974 triumph over Republican candidate Congressman Robert Steele in the gubernatorial race she became the first woman elected state governor in her own right. A very popular governor, she was reelected in 1978, defeating Ronald Sarasin, but resigned the post in December 1980 for health reasons. Her resignation capped an illustrious career for a child of Italian immigrants whose parents “dared to dream” that their daughter would achieve success in this Land of Steady Habits. Ella Tambussi Grasso died of cancer on February 7, 1981. Jon E. Purmont is Professor of History at Southern Connecticut State University and was administrative assistant to Governor Ella Grasso, 1979-1980. © Connecticut Explored. All rights reserved. This article originally appeared in Connecticut Explored (formerly Hog River Journal) Vol. 2/ No. 4 Aug/Sept/Oct 2004.